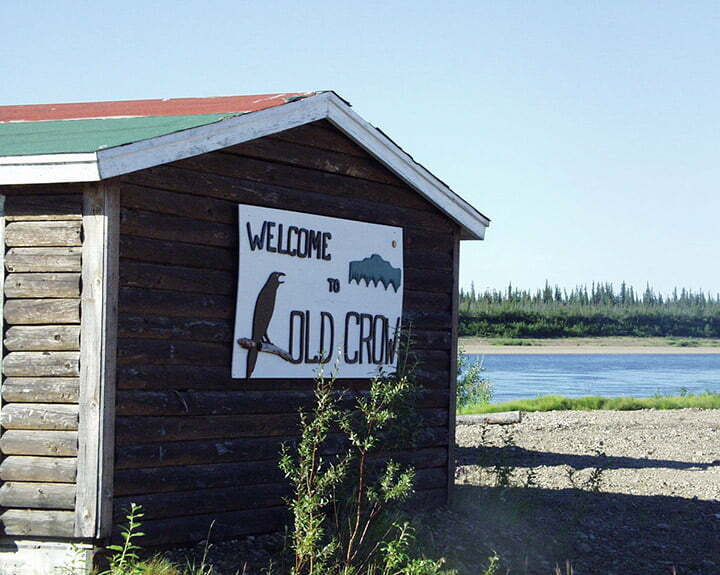 Old Crow is the only community in the North Yukon region. It’s an isolated but close-knit community of mostly Gwich’in-speaking Vuntut Gwichin First Nation members. The community lies north of the Arctic Circle, so it experiences a subarctic climate, which means long, cold winters, and a short but sunny summer. Harvesting caribou and other local food sources is essential to the livelihood and the traditions of the Gwich’in people and the local community. Old Crow is the Yukon’s only fly-in community, so the only way to access the community is through the Old Crow airport. If you are planning to visit Old Crow, keep in mind that amenities and accommodations are limited. Plan your trip well in advance and talk to community members beforehand.